Based on his actions up to this point, there is every reason to expect that when William Barr releases a redacted version of the Mueller report this week, it’ll be disingenuously redacted in Donald Trump’s favor. But there are also a number of clues that suggest Barr will allow a whole lot of mid-level dirt about the Trump regime to be released, in the hope that it’ll be enough to stave off having to release the entire thing. Now we have our strongest clue yet. 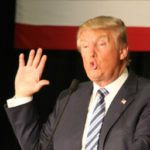 Over the past week, various leaks to the media – and even some of Donald Trump’s own tweets – have hinted that Barr will release a lot of the ugly details of Trump’s obstruction of justice antics, while keeping the worst of the collusion antics secret. Of course Trump’s obstruction has taken place since he took control of the White House, and much of it has directly or indirectly involved his own top current and former White House advisers. Robert Mueller reportedly interviewed a large number of them about Trump’s obstruction – and some of them reportedly provided significant cooperation against Trump, presumably because they feared being charged with obstruction themselves. NBC News now says that there is “breakdown-level anxiety” among Trump’s current and former White House people, because the redacted Mueller report is going to reveal just how thoroughly they sold Trump out to Mueller. Here’s the kicker. Donald Trump isn’t exactly a voracious consumer of legitimate news. But even he’s probably aware of the widespread media reports over the past year that everyone from Don McGahn to Reince Priebus to Sean Spicer to Steve Bannon provided Mueller with significant cooperation about Trump’s obstruction of justice. Most of those people have since cut ties with Trump anyway. This would suggest that the unnamed people who sold Donald Trump out to Mueller, and are now worried about Trump finding out, are closer to Trump than the names we’ve seen reported over the past year. It would also suggest that they sold Trump out for obstruction antics that haven’t yet been reported, and are uglier than what’s played out in public view. If this is the case, it’s Donald Trump who should be feeling the breakdown-level anxiety, because it looks like his current “no obstruction no collusion” mantra is about to go down in flames.